A eulogy is a special tribute to someone who has recently died. Also known as a homily, this written speech is meant to memorialize and pay homage to the life the of the deceased. Eulogies are typically delivered during the funeral service by a family member or close friend. Being chosen to deliver the eulogy at a loved one’s funeral is an honor and a privilege, but the responsibility is no easy task – preparation is key to creating and giving a memorable funeral eulogy. Depending on what type of funeral service is planned, understanding your audience will help you craft a meaningful, relatable eulogy. Obviously, your relationship to the deceased is important and can be the initial focus, but consider the entire audience and think about the impression you want them to have of your loved one. There’s a lot of information that can go into a eulogy, but aim for a concise speech that has a beginning, middle, and end. In general, a eulogy should be about 3-5 minutes long. Anything longer may result in the audience tuning out, so keep this in mind as you prepare your remarks. Start by greeting the funeral attendees, briefly introducing yourself, and describing how you knew the decedent/the nature of your relationship. You can also begin with a biography, but resist the temptation of writing out a list of bullet points in a timeline format. A few personal details about the deceased’s life should be enough to start out. Sharing stories and special memories about your loved one makes for an engaging and heartfelt eulogy. Think about significant milestones or occasions in the deceased’s life, or expand on personality traits that were specific to them. While writing, reach out to others so they can contribute personal anecdotes or interesting narratives. Humorous stories might be relevant, but be careful, as humor doesn’t work well on all funeral audiences. Try to maintain a respectful tone throughout the tribute. Even if the deceased didn’t have the best reputation, never make negative comments or bring up old grudges. It’s important to be honest, but try not say anything that could put you in conflict with the family. Finish the eulogy with a memorable farewell. This can be a favorite phrase your loved one said frequently, an inspirational quote, or even a poignant poem. Leave the funeral audience with pleasant memories and a lasting appreciation of the deceased. After finishing the first draft of your eulogy, ask family members or close friends for constructive feedback. Print out the eulogy and read it out loud. No only do certain phrases sound different when spoken, but you’ll also gain a better idea of the speech’s overall tone. Start on the final eulogy draft after you receive feedback from your chosen reviewers. Incorporate their edits or comments when appropriate, and read it a few more times to make sure everything fits your vision. If you need extra inspiration, you can also check out sample eulogies for additional ideas. Practice, practice, and practice some more. The more you practice speaking the eulogy out loud, the easier it’ll be to say it in front of the funeral attendees. Rehearse in front of a mirror or record yourself to see how you’ll come across to the audience, and be sure to make adjustments where you think they’re necessary. Memorize parts of the eulogy so that you don’t have to continually refer to your notes, as this can be distracting to the audience. Don’t get sidetracked or add something new at the last minute. Stick to your original thoughts and avoid rambling. If you start to get emotional, pause and take deep breaths to release the tension. Make sure you have a glass of water or tissues nearby. Stay centered by focusing on someone in the audience. Try to make eye contact with the rest of the funeral guests periodically. Have a support person close by who can take over if you’re unable to finish giving the eulogy. The eulogy is an important and meaningful part of any funeral service. 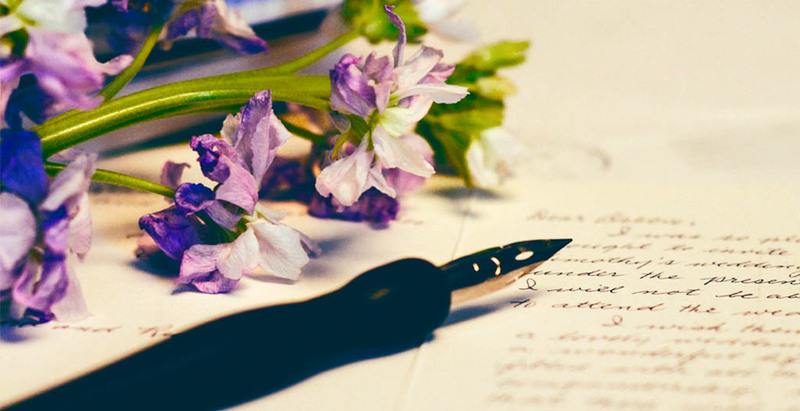 Discover more about the other elements in a funeral program by learning how to write a funeral order of service.